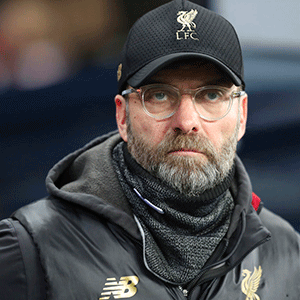 Southampton - Liverpool manager Jurgen Klopp admitted his side cannot meet the heights of Manchester City's football, but they may still deny Pep Guardiola's men the title after moving top of the Premier League by beating Southampton 3-1 on Friday. "It is a difficult year for everybody. You need to have 70-75 points for the Champions League and 90-something for the title. We are in the race and that is nice."